If you are now convinced that the IPL method of hair removal is right for you then you have two choices. Go to a private beauty clinic for treatment or buy the IPL system to use yourself at home. There are benefits to both which we explain below. It comes at a very high price. 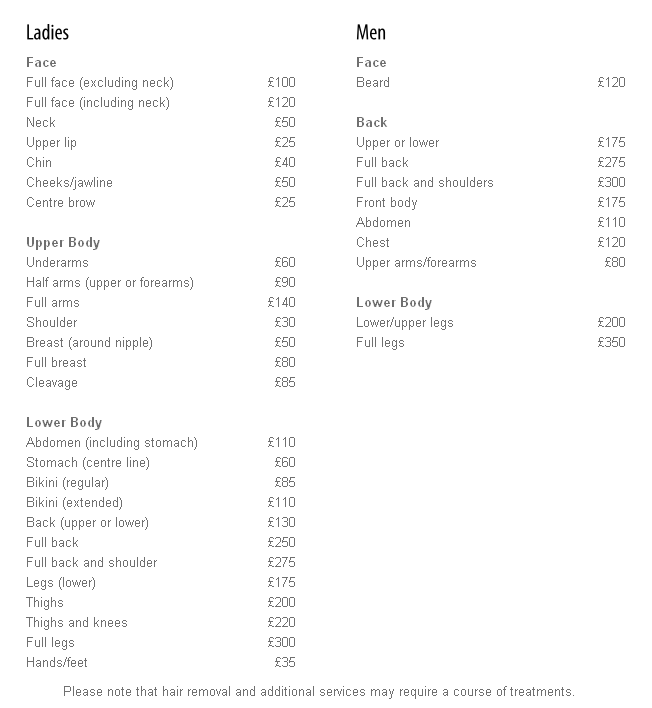 Obviously every clinic will set their own prices (and many don’t openly advertise them for their competitors to see) but a quick search on Google will find clinics offering prices like this for a single session. You will always require several sessions and, if you are trying to treat multiple areas of your body, it can start becoming very cost prohibitive. You have to take time out of your schedule to book and attend the clinic as opposed to using as and when you like.